A group of Lancaster ISD students recently completed an unusually challenging STEM project. The 39 engineering students, grades 6-11, built an airplane. One that flies! 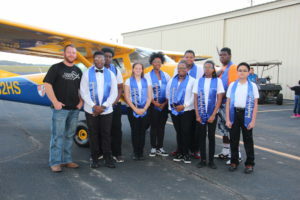 Josh Hoffman, owner and lead engineer of Cross Country Aviation, was the students’ instructor during the project. The student-built plane will be used by Wings of Hope, a nonprofit helping those in need all over the world. The 4-seater Cessna 182 single-engine airplane was unveiled on a windy Friday afternoon at Lancaster Regional Airport October 20. The Wings of Hope pilot flew the plane over the city of Lancaster with Executive Director of Academics and Innovation Kyndra Johnson in the co-pilot seat for the flyover. Johnson also emceed the program following the unveiling ceremony. 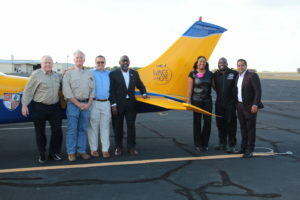 Also on the program were Lancaster ISD School Board President Ty G. Jones; Wings of Hope President Brett Heinrich; and Experience Aviation Operation Build & Soar founder Captain Barrington Irving. . Not long after the unveiling ceremony, the student-built Cessna took off for Nicaragua on its first mission. Wings of Hope has been involved in worldwide humanitarian missions since sending its first plane to Kenya in 1965, assisting a nun in providing medical care to their famine-stricken people. 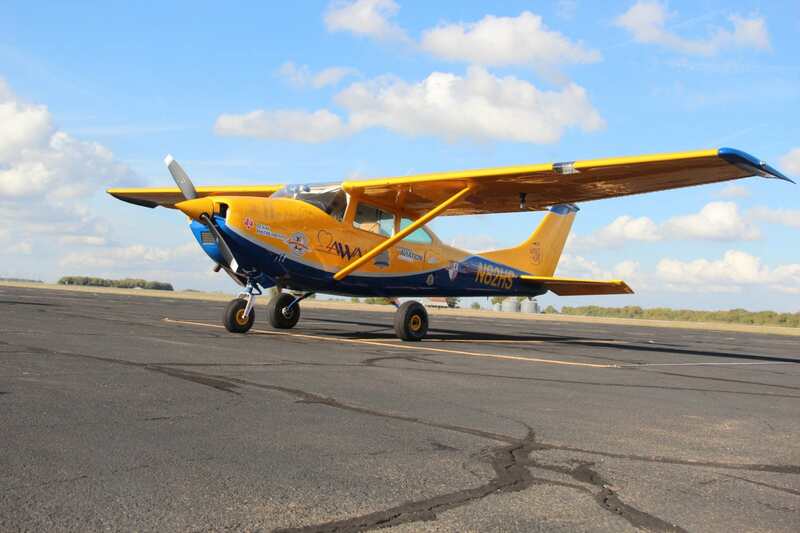 The Cessna will be used by Wings of Hope’s partner, Adventist World Aviation, to provide emergency medical air transport to people living in remote communities in Nicaragua. Steve Long, Wings of Hope’s director of hangar operations, said the organization specifically donated a plane that could be used for humanitarian relief. “I hope that my son and other students realize from this project/learning challenge that they are capable of doing anything, this learning challenge was just the beginning for several of these students as well as my son. I hope they realize that the sky’s the limit for them, through hard-work and dedication they can accomplish any goal that they set for themselves,” she added. In 2014 the LISD STEM students built a Factory 5 Subaru 818S Car in partnership with Experience Aviation: Operation Build & Soar, Captain Irving, and Lancaster ISD. 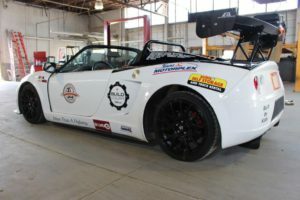 Over a three month period, students built, refined, painted and put finishing touches on a car that could be driven on city streets. Eperience Aviation Captain Barrington Irving Jr.